Are you tired of hosting the same-old-same-old birthday parties? Cake, presents, a few party games… it can start to feel repetitive and boring, can’t it? But a birthday party should be memorable, exciting, and fun! Well, if you want a unique birthday party plan, just check out our Buckeye video game truck! 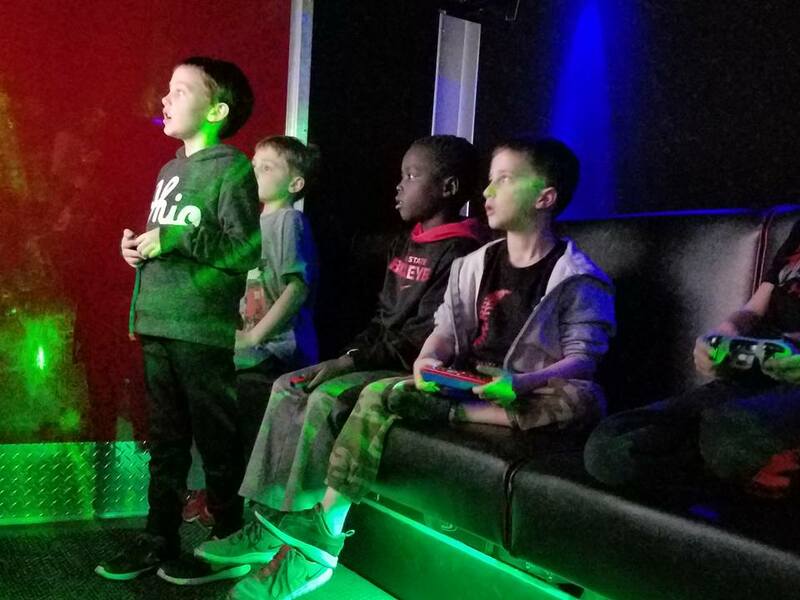 Our mobile game truck is an unforgettable addition to a unique birthday party for almost anyone! Video games are loved by all ages, and our truck is equipped with all of the latest consoles and games. Our luxury truck can accommodate twenty players inside with seven wide screen HDTVs, and eight more on the exterior screens. Birthdays only come once a year, and they represent a celebration of life—that celebration is often one attended by our closest friends and relatives. It’s an event that should make memories, not one that should be forgotten because it’s become so routine or mundane. Having a unique birthday party isn’t that difficult—why settle for less? Think about the birthday parties you’ve had that were most memorable. They almost always feature some sort of entertainment that you didn’t get to enjoy on a regular basis. A great theme can make all the difference! And a video game truck is a great tie in for many themes that feature popular characters. Picking a date well in advance will make it possible to prepare for your unique birthday party perfectly. You’ll be able to reserve anything you need to make your party memorable, and you’ll be sure your guests have adequate notice so that as many of your favorite people can show up as possible! Tired of throwing the same old birthday party? Looking for a birthday party idea that makes you a hero, while making their special day easier on you? We have the most exciting birthday party in Columbus, New Albany, Pickerington, Gahanna, Powell, Franklin County, Delaware County and the surrounding Central Ohio area, and we bring it right to you! Need something exciting for your next Church, School or Non-Profit event? Want to make your event exciting for all ages? How about a Fundraiser that brings people in and entertains them all? 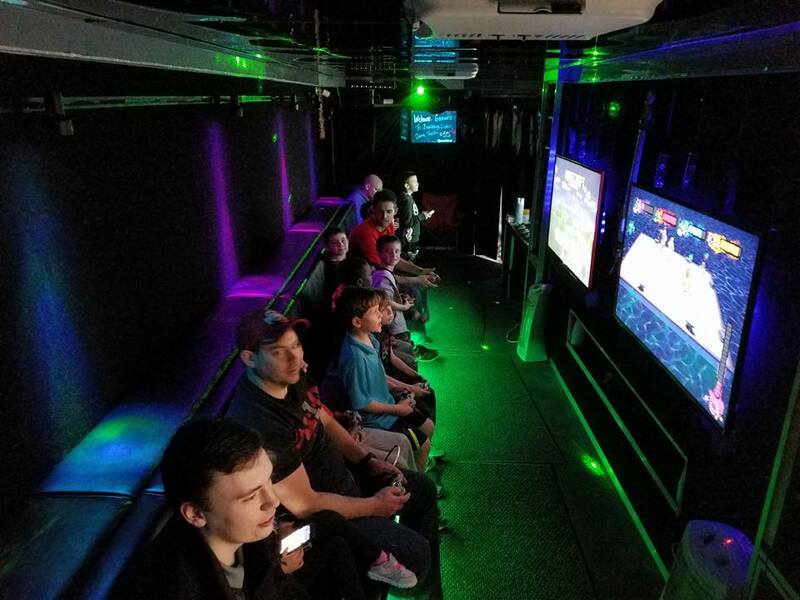 Our Game Truck and Laser Tag is always a HIT! We've got the best corporate team building ideas around! Your employees deserve the best, and we'll bring it right to your workplace! Promotions and Grand Openings? We can bring our amazing Game Truck or Laser Tag to highlight any event! We serve Columbus, Franklin County, Delaware County and Central Ohio! We've got the greatest Tailgate Party for the Big Game! Our Satellite TV system lets you watch on any (or all) of our HUGE Hi-Definition TV's! Play inside and watch outside...it's the ultimate Tailgate Party On Wheels...and it comes right to your driveway!